Young and healthy bodies recover at a good pace when they fall, and before you know it their bodies recover and are back to normal. The same doesn’t go for the elderly or the handicapped. As they have less flexibility, falling or tripping can be quite life threatening. Bones can be fractured easily, and can cause internal bleeding for serious cases. Due to this, it is important follow these tips to prevent falls in the bathroom for the elderly and handicapped people. What causes elderly or handicapped people to fall? Here we show you some reasons the elderly or the handicapped people have an increase in the risk of falling. According to Journal of Injury and Violence Resources, the bathroom (35.7%) is the most common location for fall injuries in the home. It is reported that 95% of hip fractures are caused by falling, and the usual cause is by falling sideways. The list below are some bathroom safety tips and tricks to avoid getting your loved ones injured. This is the best remedy one can adopt to avoid falls in the bathroom. Installing grab bars in suitable places will allow diverse support for the elderly or handicapped people to move about in the bathroom. These bathroom ﻿grab bars are also potential lifesavers if someone is about to fall suddenly and they can grab on to support themselves. People should also avoid doing any sudden movements in the bathroom if they have slow or limited reflexes. The most obvious and common reason of falling in the bathroom is the slippery floor. The floor can be slippery due to the excess of water on the floor, improper cleaning and drying of the floor, slippery marble, soap on the floor and slippery floor mats. It is recommended that mats in the bathroom should have rubber backings. Rubber backings produce friction if dragged across marble floors so it stops the additional slipping of the foot. Weighted shower curtains are a big help to avoid water leaks on the floor. This is a shower safety for elderly to lessen the risk of slipping. Sudden movements increase the risk of slipping in the bathroom so it is important that all the necessary items are placed within the reach of the person. Things like towels, clothes, shampoo, soap and other essentials should be put in a place where it is easily accessible. This is so that users don’t have to make big movements. The use of bath chairs and stools are a very convenient way of reducing falling risks. First, bath chairs and stools would spare the energy of standing and walk around. Second, it would reduce the chances of slipping from moving around. Third, it would allow taking a bath for any length of time without the risk of getting tired or weak from standing. Using bathtub seats along with hand showers is the best way to avoid falling. It is recommended that any unwanted object that can cause tripping be removed from the bathroom. It is easier to fall if you trip on something and also quite dangerous as well. Things like wipers, dustbins, and baskets should be removed. Especially for elderly people that mostly have poor eyesight, it is recommended to keep the bathroom well lit. A sensor light can be installed to avoid tripping over anything. Use cool white light to see things clearly. 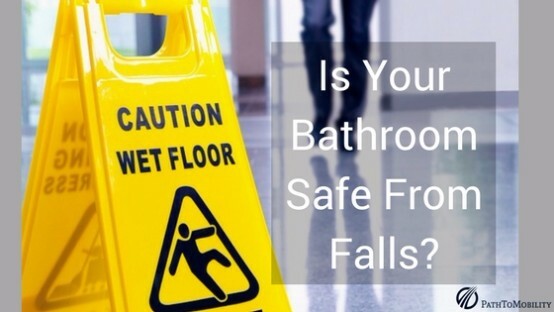 These are the simple remedies you can adopt to protect the people around you from getting injured and prevent falls in the bathroom. Still, the bathroom is not the only place that needs to take notice of. Safety measures and preventions should be taken in all places whether it is indoor or outdoor. These preventions should cover the bedroom, kitchen, stairs, and backyard to prevent falls. If in case an accident would happen, it would be a good idea to be prepared as well. Install a medical alert system or a communication device to be able to get help quickly.